Did you know there are 110,000 unique searches a month on Google for “how to get rid of bed bugs”? I didn’t either. No one wants to talk about the fact that there’s a Bed Bug problem in our world. No one but Cameron Wheeler, founder of ZappBug. 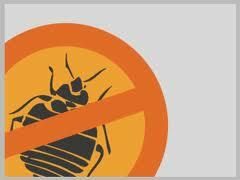 He has no problem talking about how he can rid people of one of the worst and most traumatic infestations – Bed Bugs. Turns out that’s exactly what he said. I quickly found Cameron to be a smart dude and Bed Bugs to be a killer business. But this story isn’t all about how to get rid of Bed Bugs (although you can find the link below). Intrigued as an entrepreneur I wanted to learn more about how he was approaching this massive problem and how he built a physical product company in a web dominated startup world. This is a story of how three normal guys started a product company that actually generates revenue without seeing a single bug. First off, if you have the misfortune of Bed Bugs, you have to check out their solution. ZappBug is meant to be a one-stop resource for how to get rid of bed bugs and their main products are multi-sized oven heaters to place clothing, luggage and other stuff meant to kill 100% of the bugs. Basically, you can throw all your stuff in there and “heat em” just like a washing machine washes clothes. They’ve also designed a set of free tutorials that gives you all of the information you need to completely get rid of bed bugs in 8 steps. You don’t need to purchase the ZappBug Oven to use these steps, although it looks like oven is an extremely clever and helpful tool in getting rid of an infestation. So naturally, starting a company was his only logical choice. Cameron knew startups are quite different than large behemoth companies – they are smaller, more agile and generally more fun to work at. I chimed in and said “But they are also cash strapped!” Being low on capital they have a harder time building businesses around physical products, which was a problem in Cameron’s case. So the question he had to figure out was: Is there a way to apply Lean Startup principles to physical products? Could you actually produce and sell a physical product without a huge amount of capital and actually make a profit? Turns out…there is. And this is exactly what they are doing at ZappBug. Bed bugs are a real problem and many of us know someone who has encountered them (even though your friends might not tell you). It all started when a neighbor of one of the company’s co-founders had bed bugs and they spread through the electrical outlets into units across the building into his apartment. [Gross.] Having to deal with this “fun” experience searched and searched and finally found out how to get rid of the bugs. During the initial research process they learned that there was a real need for better solutions and more information. They found out the market is huge but fragmented. Pest control companies want to come to your home and sell. Bloggers spew tons of words with little actionable advice and sellers want to throw products at you. They realized there weren’t really any great resources or solutions in market and thus, ZappBug was born. To Cameron the bed bug market is unique for several reasons. First, it’s new and a surprisingly large niche. With approximately 110k unique searches for “How To Get Rid of Bed Bugs” a month, its obvious people are continually looking for a better solution. According to goggle, that number rose by more than 400% in 2010 – so apparently it’s becoming an even bigger problem – and bigger opportunity! Also, the subject is Taboo… so there’s less competition that you would see in niches of a similar size. There are virtually no comprehensive resources online for how to deal with bed bugs from start to finish. By helping people get rid of bed bugs in their belongings, you are also helping them save thousands of dollars. A lot of people panic and unwillingly throw away everything they own. This further intrigued Wheeler and his team. Although the “Lean Startup” phenomenon wasn’t out yet, Cameron had intuitively learned the basic concepts of product validation and cash flow and determined to build ZappBug with those in mind. This is why I have been so interested in Cameron’s approach to ZappBug, and why I wanted to dive deeper into the mechanics of his business. It can be very expensive to start a company that makes physical products. Testing and manufacturing alone can require more time/money than software products. And there is the fact that each unit costs money. You need working capital up front to buy inventory. Also, you need to make enough units in each production run to meet the minimum order quantities required by factories producing your product. There is no Amazon Web Services for physical products, just Chinese factories…which are a far cry from the affordable but flexible services we are used to in web services. But there are also advantages! “The biggest being that people actually pay money for physical products. I don’t know about you but I spend about $20 a week on coffee and maybe only about $20 a year on apps,” says Wheeler. So it was obvious they had some good ideas. But first, they needed something to manufacture. About that little issue of manufacturing…? Producing textiles like their “insulated folding box” (aka bed bug oven) is not feasible in the U.S. because of labor costs and minimum order sizes. Most People don’t really understand how you can go from a prototype in your garage to a factory sample and then a production run. Cameron, remembering what he learned at his previous job, started looking for a small factory in China to make their stuff. So how did they find one? And before he knew it, Cameron was off to China! Once things in China were in the works they spent some time developing the website and by June of 2012, everything was done. The product was loaded into a shipping container bound for Seattle. Before the container arrived, they rented out two storage units near the port to store the products. The Cosco Seattle arrived with the goods on June 28, 2012. They started selling the product on Amazon immediately and sales went well. So well they quickly sold out of the first shipment. Needing more, they made another manufacturing run and landed their first full shipping container of product in December of 2012. Cameron passed on the opportunity to talk specific revenue numbers but he did mention they are driving margins “double the wholesale average” and their sales are solid and growing with the latest (and larger) run of heaters. 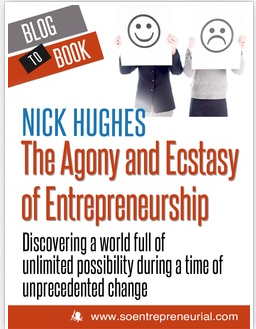 Author’s Lesson: Cameron is solving a big problem and thus has a nice growing revenue curve to support his business. With ZappBug, people simply search and find a solution to a nasty problem. And not too mention, when people have a pressing issue they will not hesitate to spend money on an easy to find solution. Huge lesson for entrepreneurs out there – solve an urgent problem for people and money will follow. ZappBug now has a validated product and the cash to design much more sophisticated products. It’s open road ahead. “Our goal is to be a one-stop resource to help people get rid of bed bugs. Anyone coming to our site will find free informational videos and tutorials as well as products that will help them get rid of bed bugs.” Already, they are looking ahead to larger and more value generating products. The next will be called The ZappBug Room and will be large enough for a couch or a mattress meant for professionals and consumers. Who knew Bed Bugs could be such a killer business? This entry was posted in entrepreneurship, Technology and tagged Bed Bugs, Entrepreneur, Kill, Manufacturing, ZappBug. Bookmark the permalink. ← Failed New Years Resolution? Try This Instead.